The UW Health Northeast Family Medical Center is helping to prevent falls among its elderly patients through increased outreach and an on-site falls prevention workshop. The workshop, Stepping On, is an evidence-based program that can reduce up to 50 percent of falls in participants. According to the Centers for Disease Control and Prevention, one out of four people age 65 and over fall each year; of those, one in five results in broken bones or a head injury. The average hospital cost for a fall injury is over $30,000. Offered for the first time at the Northeast clinic in August and September, Stepping On focuses on strength and balance exercises; the role of vision, medications and footwear in falls risk; and safety hazards in the home. All Northeast clinic patients over age 65 are already screened for falls risk as part of UW Health Accountable Care Organization (ACO) requirements. But the effort at Northeast went further: once at-risk patients were identified, clinic staff actively reached out, using scripts and promotional brochures to encourage them to attend the Stepping On workshop. If the on-site workshop wasn’t convenient, staff helped direct patients to other falls prevention resources in the community. 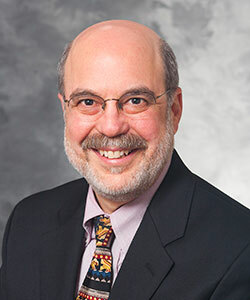 Dr. Schwab added that the clinic’s patient and family advisory council provided input on ways to communicate with patients so they would better understand the value of the Stepping On program. To learn more about bringing a Stepping On workshop to your clinic, call (608) 890-5651 or email steppingon@uwhealth.org.